The mission of St. Simon & St. Jude is to welcome, to rejoice and to be Jesus in the world. Nothing is more central to “being Jesus in the world” than serving those in need. SSSJ is privileged to support several outreach ministries within both our immediate and global communities, as well as offering our space for those in need of a safe place to gather. Epiphany is a ministry committed to manifesting the love of Christ to incarcerated youth. Volunteers from different faiths come from South Carolina, North Carolina, and Georgia to provide a three-day weekend of love, prayer, and praise at the SC Department of Juvenile Justice. The volunteers sleep and eat at SSSJ. SSSJ is changing lives by providing meeting space for Alcoholics Anonymous, Narcotics Anonymous, Anger Management, Boy Scouts, and Venture Scouts. Growing Home Southeast focuses on building families and preventing poverty and child abuse. SSSJ supports this organization by providing toys for children “adopted” from The Giving Tree at Christmas and providing Easter baskets at Easter time. Members of SSSJ support children in the school in Chapoteau, Haiti, through the “Adopt-a-Child” campaign held each year to provide books, tuition, and a daily meal. SSSJ also provides support for the Diocesan ministry in Cange, Haiti. Homeworks is a ministry of youth and adults from different churches who assist in the repair of homes for the elderly or impoverished. SSSJ provides and serves a taco salad meal for those serving as volunteers in the Columbia area. 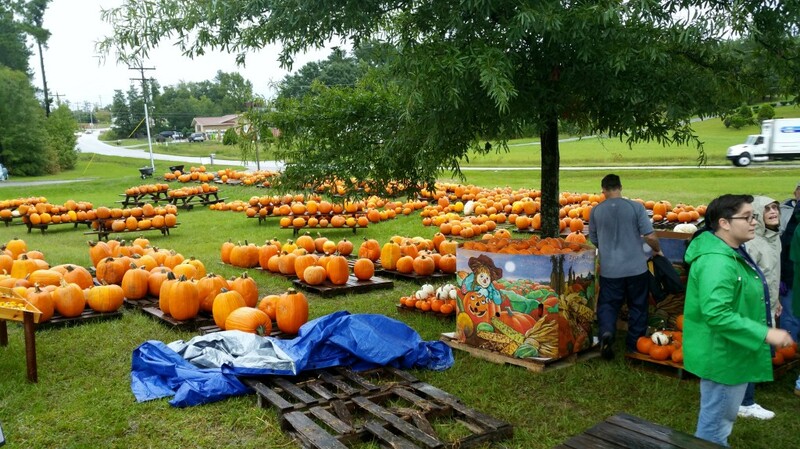 The Pumpkin Patch is the major fund raiser for the SSSJ Outreach program and also provides income for the growers. Pumpkins grown by Navajo Indians in New Mexico arrive at the beginning of October. They are unloaded from the truck and sold throughout the month of October by SSSJ volunteers. Many volunteers are needed throughout the month of October to make this fund raiser successful, and it is definitely the most fun of all our outreach ministry opportunities. 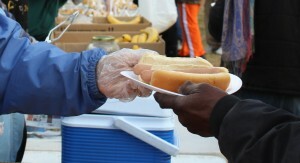 The homeless in downtown Columbia are served a meal on Saturdays by various organizations and churches. The meal usually consists of hotdogs, chips, fruit, and dessert. SSSJ serves every other month on the first Saturday of the month. Clothing, blankets, and back packs are provided periodically throughout the year. The Shepherd’s Center serves senior citizens in the Irmo-St. Andrews area by providing a place for intellectual stimulation and socialization. SSSJ supports this ministry both through monetary donations and individuals who serve as instructors. Sharing God’s Love provides food, clothing, and limited financial assistance to those in need in the Irmo area. SSSJ supports this ministry through donations of money, food, and clothing. Volunteers from SSSJ also work at the center and serve on the board of directors. Money collected by the Youth on Souper Bowl Sunday goes to Sharing God’s Love. The Snack Pack ministry provides food for the weekend for children who depend on school lunches during the week and would have little to eat during the weekend. Bags are packed with individual servings of foods that require little preparation and can be heated in a microwave.